Optraffic's vehicle truck mount signs are made to the highest quality standards with our ISO9001 certified manufacturing facility, comply to MUTCD, a full matrix of LEDs are supplied with electrical actuators & brackets together, foldable and allows for mounting over work tucks like flatbed trucks, attenuator trucks or striping vehicles, rather suitable for using in road traffic management, and constructional engineering. 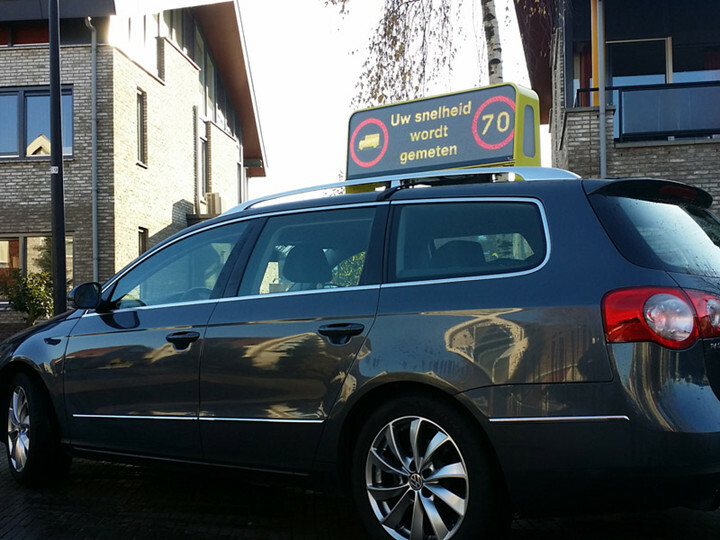 OPT also professionally supply led signs mounted on the taxi and bus, which has the features of low weight design, low power consumption, low heat conduct, wide view angle, clean cable inside, easy maintenance and multi-control method. 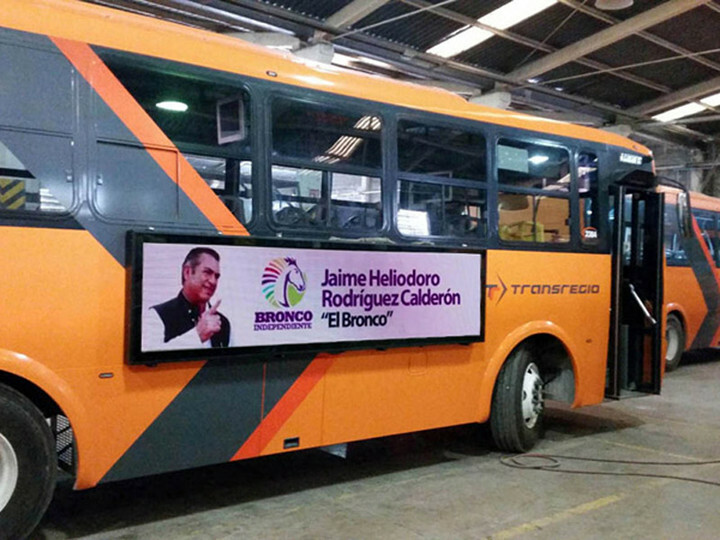 Such mobile led signs are especially suitable for advertising and broadcasting upcoming events in the city. Amber & five-color full-matrix display shows text, graphics or animation. 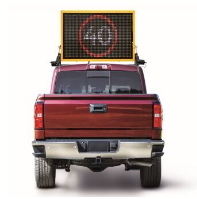 OPT vehicle truck mount variable message signs are all with high-efficiency LEDs for reduced energy consumption, superior performance, and outstanding legibility. 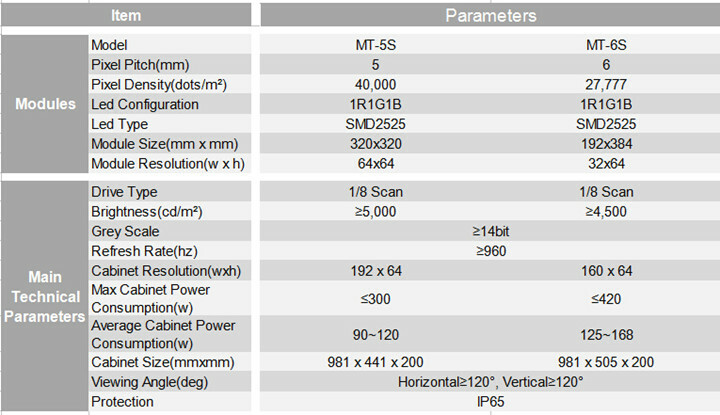 The full-matrix display can present messages as text, graphics, or a combination of both.